The TOMAVISTAS is seeking for Bands from the genres Punk, Indie, Garage Rock, Electronic, Alternative, Rock, Psychedelic Rock, Pop. Tomavistas festival is looking for 2 GIGMIT BANDS from the genres indie, rock, pop, psychedelic rock, garage or indie folk for his third edition. Tomavistas festival promotes music for curious people, those who are always on the search for new artists, styles and experiences. 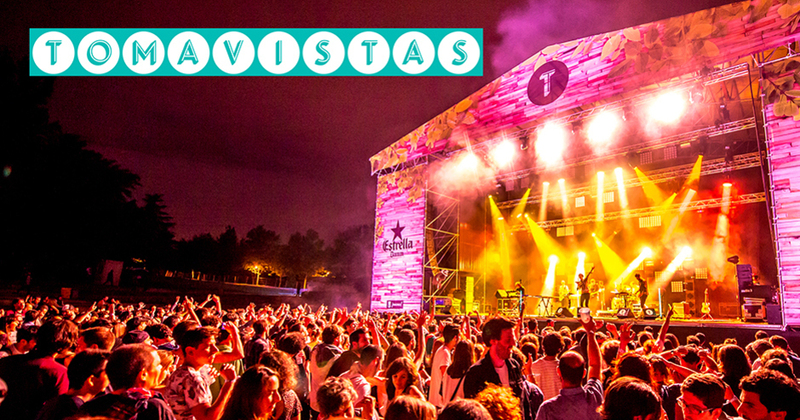 With a wide range of styles from the indie sector it offers 20.000 fans on two stages a selection of most interesting national and international bands. The 3-day festival is accompanied by street food offerings and chill out areas in a green park environment - Parque Enrique Tierno Galván. In the last ediction plays bands than A PLACE TO BURY STRANGERS, THE WEDDING PRESENT, ULTIMATE PAINTING or HEY LOVER.